TRACKER, the stolen vehicle recovery expert (SVR), offers bike owners a timely reminder regarding the vulnerability of motorcycles to theft. This comes after a stolen Honda Hornet fitted with a TRACKER unit led Metropolitan Police to premises in North London and uncovered an organised crime ring that targeted motorcycles. 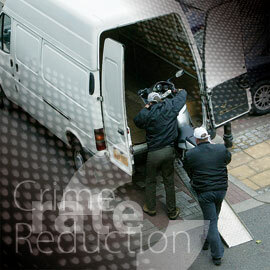 Once again, TRACKER’s partnership with all 52 of the UK’s police forces helps close the net on criminals. The Honda Hornet motorcycle was stolen from East London but luckily for the owner, it was fitted with a TRACKER. Once the TRACKER unit was activated, patrolling officers in Edmonton picked up its silent signal coming from a commercial premise. Inside the premises, officers found the stolen Honda Hornet and a stolen Honda CBR 1000RR motorcycle, together with the parts of several dismantled bikes. Two people were arrested and are subject to an ongoing investigation. Adrian Davenport, Police Liaison Manager from TRACKER says, “Motorcycle theft in the UK is a big problem, with Greater London having the most incidents. There is a growing trend in motorcycles being stolen by highly organised teams who either break them up for parts that then get sold via the internet, or for export. Larger engine ‘Superbikes’ are particularly attractive to these teams, but all bike owners need to take the right security precautions. Fitting a TRACKER product to your motorcycle can significantly increase the chances of police locating it if it is stolen. TRACKER stolen motorcycle recovery systems work like an electronic homing device. A covert transmitter is hidden in one of several places around the motorcycle. TRACKER offers the ultimate in protection as it detects when the bike is being moved without the ignition being turned on. The tracking device works even if the motorcycle is hidden in a container or transported on back of a van. TRACKER is the only vehicle tracking system operated by all 52 police forces in the UK, offering bike owners the ultimate in security. TRACKER has been leading the way in the field of vehicle tracking and telematics since 1993. With over a million market leading security and award winning fleet management systems fitted to vehicles including passenger cars, motorcycles, HGV’s, LCV’s and plant and construction equipment, TRACKER is still leading the way. In 2005, TRACKER became a wholly owned subsidiary of the Insurance division (which was rebranded the Direct Line Group in 2012) of the Royal Bank of Scotland Group. With over a million systems installed to date, its award-winning products ensure its customers have complete peace of mind.